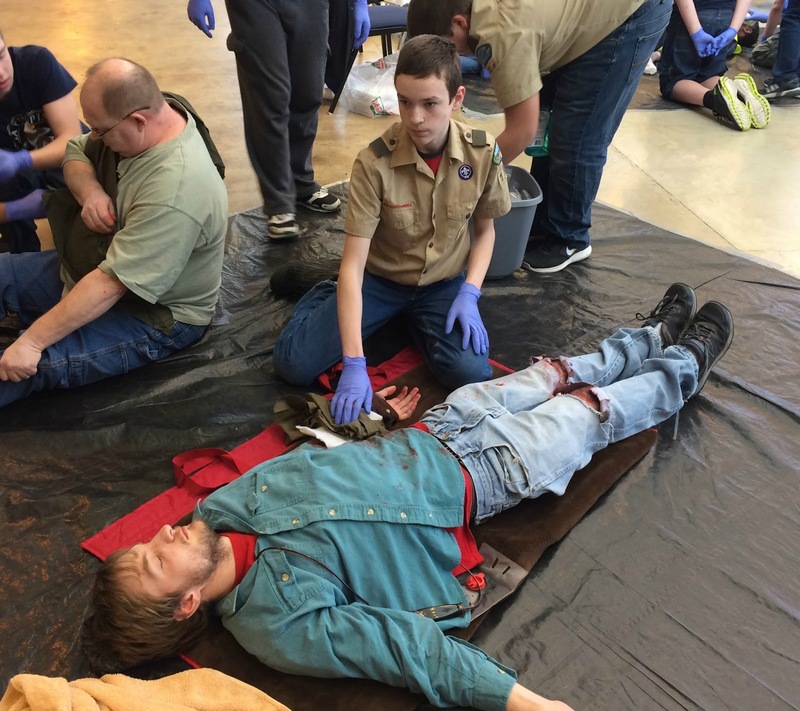 Yesterday, our local Boy Scouts joined several more troops at a big First Aid Meet in Springfield, IL. Each team went around to 13 different stations where they had to assess the situation and work together to provide first aid treatment to each patient. This was JJ's first year attending. He learned a lot and believes this event has helped him to improve his skills. I am thankful to see he has shown an interest in helping others if the need arises. What a great experience for him.